On a quiet Chautauqua evening, nearing dusk, there are 24 notes in the air — 24 notes that tap deep emotion; it could be O.W. Norton. More likely, it is retired Sgt. Jari Villanueva, who, when on Chautauqua Institution’s grounds, thinks fondly of O.W. and is as close as anyone to hearing the comforting sound of “Taps” in the air. Villanueva will talk about that experience and the history of “Taps” at 3:30 p.m. today in the Hall of Christ. His presentation is part of the Oliver Archives Heritage Lecture Series. Villanueva has documented the O.W. Norton story in his volume Twenty-four Notes That Tap Deep Emotions. O.W. became acquainted with George Vincent, the son of Chautauqua co-founder, John H. Vincent, in Chicago. John Vincent was cousin to Col. Strong Vincent under whom O.W. had served in the Civil War. Norton had lived part of his young life in nearby Sherman, New York. After O.W. died, his wife, Lucy, contributed money for what is now Norton Hall. “I am in awe, being in the footsteps of O.W. Norton,” Villanueva said about walking the grounds. Villanueva’s website tapsbugler.com is a resource for anyone wanting a better understanding of bugle calls and bugle history. Villanueva specializes in Civil War bugle calls and Civil War field music. He gives his audience a chance to learn how bugle calls were used, and he sometimes performs the calls on a genuine Civil War bugle. Sometimes, opposing soldiers would sing along with their opponents’ songs. Villanueva holds degrees from The Peabody Conservatory of Music of The Johns Hopkins University and from Kent State University. 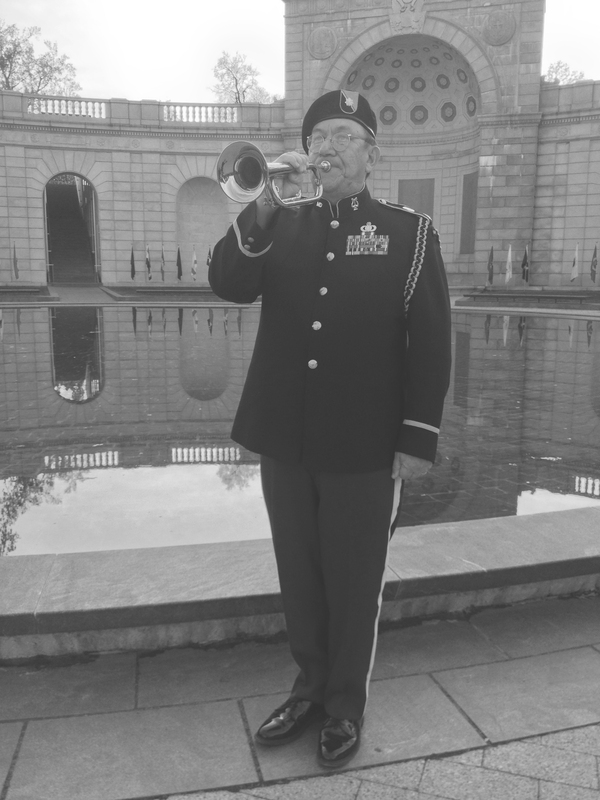 He has sounded “Taps” thousands of times at Arlington National Cemetery and other cemeteries as a military bugler. Among other things, Villanueva’s website includes a Manual of the Bugle and positions for sounding a call.